Brief：According to a new study by Colliers International, Asian real estate investors are expanding the geographic scope of their acquisitions from local regional markets to OECD countries and regions in the West, including the United States, Europe and Australia. Real estate investors from Asia are dramatically expanding the geographic scope as well as sector focus of their property acquisitions abroad. According to a new study by Colliers International, Asian real estate investors are expanding the geographic scope of their acquisitions from local regional markets to OECD countries and regions in the West, including the United States, Europe and Australia. Real estate buyers from Asia have continuously lifted their levels of outbound investment since the turn of the century, with the total investment volume rising from USD$1 billion at the outset of the 2000′s to over USD$30 billion in 2013. While a surge in global liquidity spurred by quantitative easing in the wake of the Global Financial Crisis heavily abetted outbound Asian investment, Piers Brunner, Chief Executive Officer, Asia, at Colliers International notes that other “pull” and “push” factors are also playing a critical role. Key pull factors include the higher yields available to investors in overseas markets, the strong growth potential of convalescing economies, as well as the lure of real estate in first world countries which are stable and enjoy more transparent regulatory environments. Push factors include efforts by governments in Mainland China, Hong Kong and Singapore to cool down their own overheating real estate markets, as well as the loosening of overseas investment restrictions, particularly in China, enabling cash-flush members of the nouveau riche class to go on spending sprees abroad. 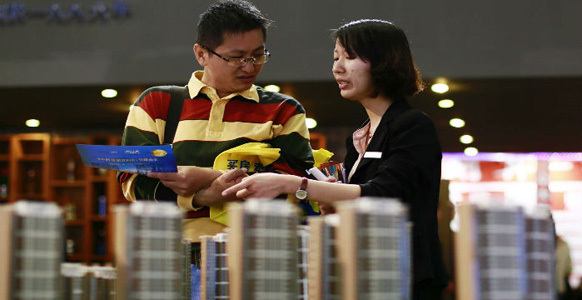 China is set to further dominate real estate investments outside of Asia, especially given that an increasing number of Chinese buyers are becoming more capable of and comfortable about dispatching their capital to overseas markets. John Marasco, Managing Director Capital Markets and Investment Services, Australia, at Colliers International, points out that Chinese investors are a key factor behind the flourishing state of Australia’s property market. Terence Tang, Managing Director of Capital Markets and Investment Services, Asia, at Colliers International expects Chinese developers to expand their presence in overseas markets to order to cater to demand from local clients, employing a variety of different purchase models ranging from upfront acquisitions to joint ventures with local parties. The sector focus of Asian property investors has also shifted since the turn of the century, drifting away an initial preoccupation with residential opportunities. Office property has emerged as the most popular sector for Asian outbound investors in the past decade, with its percentage weighting rising from 45 per cent in 2001 to 60 per cent to 2013. “We believe the emerging trend will see more outbound investors taking on additional risks in non-traditional property sectors, such as hotels, and to commit to value-adding schemes, including conversion and development opportunities, in the secondary locations of gateway cities, where prices are more attractive than in traditional core locations,” said Tang.